Get information and advice from mothers who are experienced with breastfeeding and have special training to help you breastfeed successfully. When you’re pregnant or a new mom, it helps to talk to other moms who know what you’re going through. That’s the idea behind the WIC Peer Counseling program. Peer counselors are mothers who can share their own experiences and provide help and advice based on current research and knowledge from experts. And it works—talking to a peer counselor during pregnancy helps women develop the confidence and skill to breastfeed successfully. What Do WIC Peer Counselors Do? They serve as role models. Perhaps you have never seen a woman breastfeed her baby or talked to another mom about breastfeeding. Many women have not. 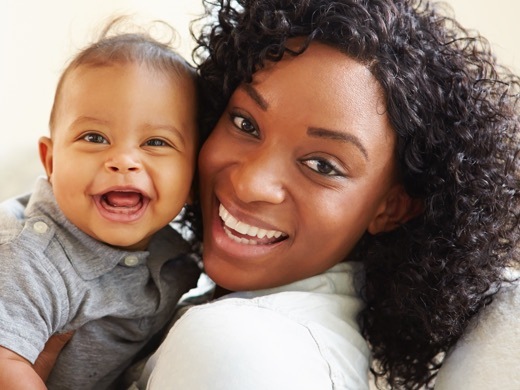 WIC peer counselors have breastfed their infants and can tell you about their experiences, mom to mom. They teach classes and provide counseling. Breastfeeding peer counselors focus on helping you breastfeed successfully. They provide one-on-one support and telephone counseling, and they teach or assist with group classes. Peer counselors provide valuable breastfeeding assistance so WIC staff can focus on other critical needs. They provide hospital counseling where available. Peer counselors may come to the hospital to help you in your first days of breastfeeding. They provide information about what you can expect during the first days and weeks of baby’s life. They also provide follow-up counseling on the phone or in the clinic. Peer counselors are trained to help you with normal breastfeeding. If you need special help, they may refer you to a supervisor, breastfeeding coordinator, nurse, nutritionist, lactation consultant, or other health care professional. Peer counselors have more than personal experience. They take a 20-hour training course that includes breastfeeding basics, counseling skills, and making referrals. If you have questions or concerns, they can help. Need a WIC peer counselor? To find your local WIC program call 1-800-942-3678, or email us.